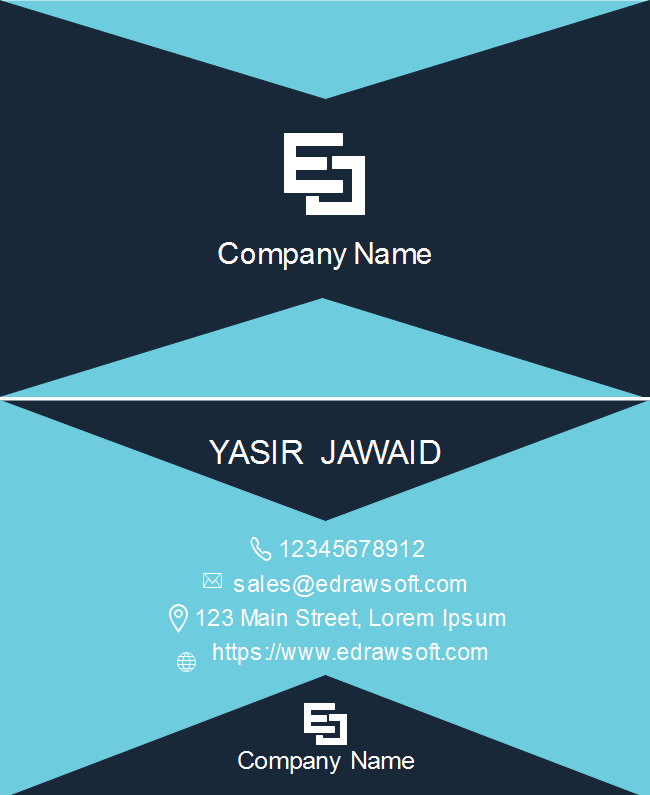 Description: Reward your talent employees with this black and blue business card template. Feel free to put your contact details and position title on the editable background. Further enhancing your personal info by adding a photo.